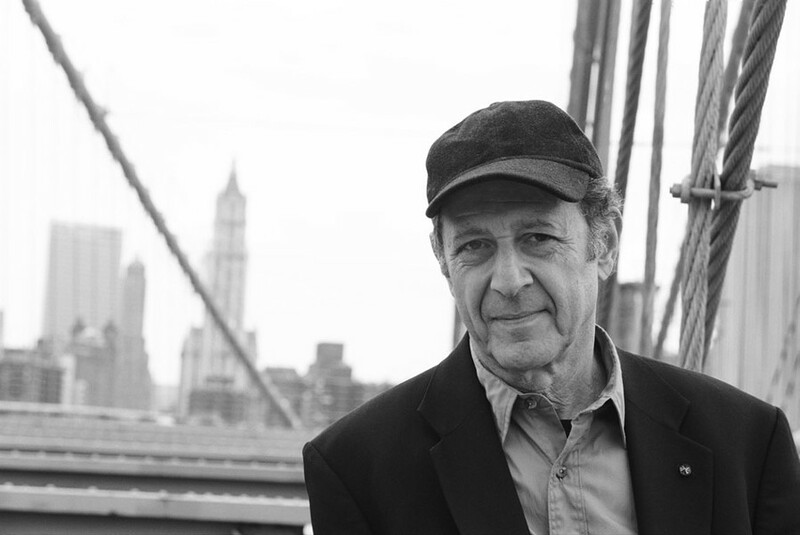 PHOTO PROVIDED Composer Steve Reich will appear with Eastman's Musica Nova on Wednesday, March 30. When it comes to the world of contemporary classical music, it doesn't get much bigger than the music of Steve Reich. On Wednesday, March 30, Eastman School's Musica Nova Ensemble gives the composer his due with a program devoted entirely to his works. The concert at Kilbourn Hall will feature newer compositions -- "Radio Rewrite" of 2012, which uses the music of Radiohead as its impetus, and 2013's "Quartet" for two pianos and two vibraphones -- as well as the vintage works "Clapping Music" from the 70's, and 1985's "New York Counterpoint" for clarinet and tape. At nearly 80 years old, the composer has long been a fixture of the concert scene, from his use of "phasing" techniques in his early works for tape and acoustic instruments to the 2009 Pulitzer Prize-winning "Double Sextet" (also on the Musica Nova program). A leading light in "Downtown music" in 1960's New York City, Reich would go on to personify the Minimalist movement, along with fellow American composer Philip Glass. Brad Lubman, director of Musica Nova, has known Reich for more than 20 years. City talked with Lubman via phone for a conversation about what makes Reich's music relevant, Lubman's upcoming duet with Reich in "Clapping Music," and what happens when Reich meets Radiohead. An edited transcript of that conversation follows. City: If you could sum it up in a single phrase, what distinguishes Steve Reich's music in the overall landscape? Brad Lubman: I think actually that any great music, any great art, can't be summarized in one word or even a short phrase. And that's what makes it so great, because it has so much to offer, and it appeals on so many different levels ... What I can say is that with Steve Reich's music, it's music that has affected such a wide range of musicians, artists, filmmakers, and a wide range of generations. Reich's music seems to meet the listener wherever he or she might be: It's not necessarily specific to a particular style, it doesn't have concrete connotations, but it has a common language that transcends any single musical experience or trajectory. Is that the reason for Reich's widespread influence and popularity? It's interesting that of the two important influences to Steve Reich, [there is] the music of Bach and of Stravinsky. And I would say that looking at the music of Bach, Stravinsky, and Steve Reich, there's something that's similar, which is there is an integrity to the rigor of composition itself which is something to marvel at. Yet, at the same time, it reaches people on so many other levels -- being that there is a humanistic level; there's a spiritual level; there's a level of narrative; there's a level of color; perhaps of theater; depending on the piece. And I think that's something that strikes people. In the same way, you can see that in Bach and Stravinsky. There's this great level of integrity in the craft, but then it goes beyond that in so many other ways. How did you go about choosing the compositions for this concert? When you're doing a program that's focusing on sort of a composer portrait, I think first and foremost you want to look at pieces that perhaps represent the composer over a period of time ... And there's "Clapping Music," which is from 1972, that Steve and I will perform. That's on there because in the last few years, that's kind of become almost a tradition. If Steve Reich is at a concert, then Steve and either the conductor or one of the percussionists from the ensemble will start the concert off by performing "Clapping Music." It's kind of a nice way to just start the evening off. I wanted to ask you about "Clapping Music" specifically -- what makes it compelling? You know, the story behind it is that when the Steve Reich ensemble, Steve Reich and Musicians, were first touring a lot in Europe in the early 7'0s, they would bring all the equipment with them. And in those days, they were doing the piece called "Drumming," which has like four sets of tuned bongos and three marimbas and four glockenspiels and amplifiers and microphones -- it was so much equipment. And what happened was they went out one night after a concert, and they went to see a flamenco performer at a Spanish restaurant. So in the midst of all the stuff that flamenco dancers and guitarists do, there's all this clapping. After the concert, they're walking back to the hotel, and the percussionists in the ensemble are sort of, while they're walking the street, they're kind of doing improvisations of the type of flamenco clapping that they just heard. And Steve had this idea. He said, "You know, with all this equipment that we have to carry around, what would happen if the van broke down? What would happen if during a performance, the power would go out and the amplification would go down? I should write a piece that you can perform with two people where all you need are just your hands. You don't need any equipment or anything." So that was the genesis of "Clapping Music." So there's something about that, I think, that's very engaging. From such a simple idea, basically that you're gonna produce a piece of music where you use two people who are going to use their hands to clap. But it's an interesting rhythmic idea because it's a rhythmic cell that shows up in many of Steve's pieces throughout the decades. And it shows, in a way, many interesting uses and patterns that can result simply from the compositional technique of shifting the pattern over one beat and then another beat and then another beat. But what happens is, one is not aware, "Oh, this is a compositional exercise." One comes away with a really funky-sounding piece ... The time signature does not change. Simply, the rhythm is notated in a way that reflects where it's been moved over. Does "Radio Rewrite," at least in part, serve to re-contextualize Radiohead's music as composition and then as a result, perhaps help to set a precedent for future composers to utilize other non-classical groups' work as inspiration? It's a very healthy time artistically, because there's so much cross-fertilization. There's a lot of "genre-bending," a term that comes up every now and then. And I think that in this case, what you have is a very, very subtle connection between Steve Reich's composing and the music of [Radiohead]. In other words, it's not like a "Variations on a Theme by Radiohead," and it's not remixing Radiohead through Steve Reich ... "Radio Rewrite," for the most part, sounds like a Steve Reich piece.